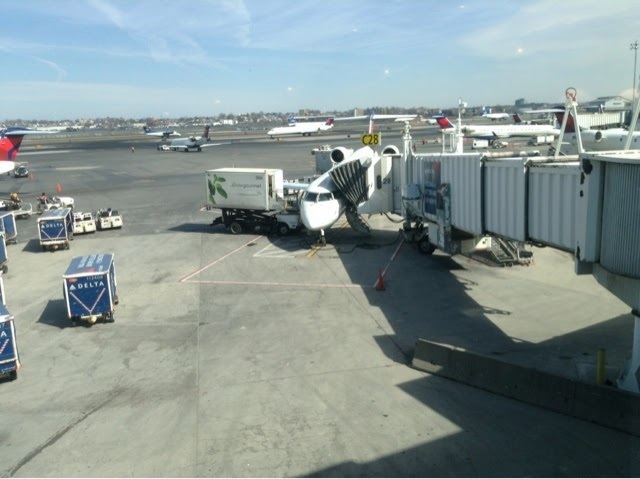 A couple weeks ago I had a chance to spend a few hours before my flight in the USAir lounge at LaGuardia Airport. The atmosphere was very inviting and the decor was very sleek and updated. 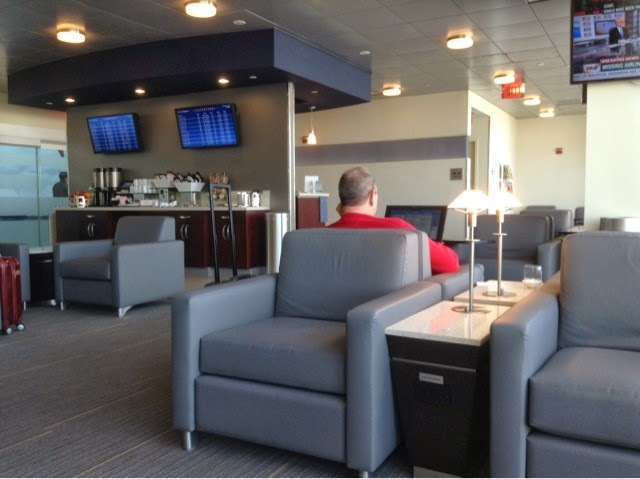 I believe they have done a recent renovation as i have seen other reviews calling this the "worst lounge in America". Older reviews have commented on worn out carpet and tired chairs, but this was not the case on my visit. 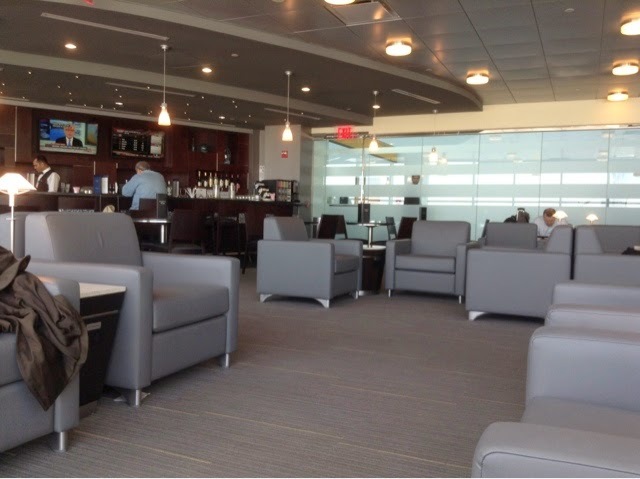 This was one of the smaller lounges that i have ever been in and I could imagine it getting crowded during certain times of the day. There was a nice view out over the tarmac. One strange thing that I noticed was that there was one bathroom, literally one single occupancy bathroom for the entire lounge. I had to wait in line for several minutes before it was my turn. For drinks, there was a full cash bar with complimentary house white/red wine or Bud/Bud light. The food selection was a bit sparse (although i was visiting at an off hour) and included chips, salsa, Biscoff cookies, fruit and mixed nuts. All in all, a perfectly acceptable lounge to spend some time between flights but certainly don't come here expecting a full buffet and open bar. The recent upgrade is a major improvement.